While the big snowstorm went pretty easy on New York, it clobbered parts of New England and left the island of Nantucket, Massachusetts, without power, access to the mainland, or any hope of outside help until Wednesday. The New York Times reports that the Waspy vacation destination’s 12,000 winter residents were blasted with heavy snow and up to 78-miles-per-hour winds on Monday night. 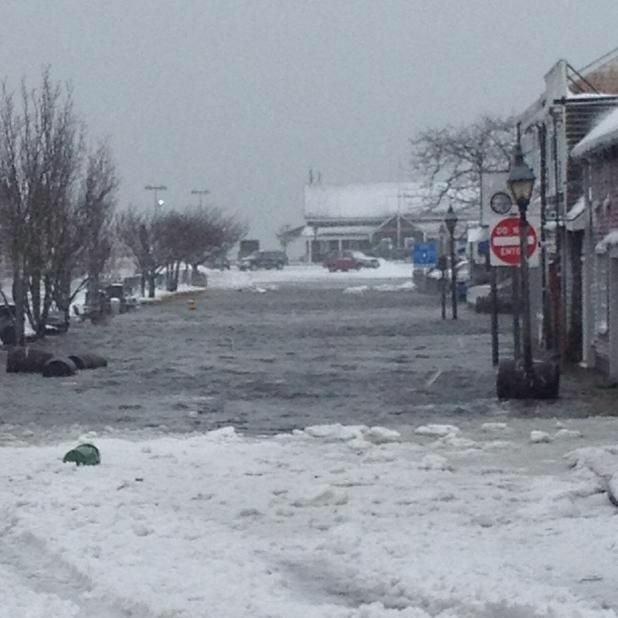 Tuesday morning’s high tide flooded much of Nantucket’s downtown, and the same thing is expected to happen when high tide rolls around again at 6 p.m. Snow, wind, and the resulting whiteout conditions have continued throughout the day. The Nantucket Inquirer and Mirror reports that, for now, displaced people are sheltering in the local high school.